Looking for a home, car or personal loan? Talk to your local Mortgage Choice broker servicing Menai, the Sutherland Shire and surrounds. 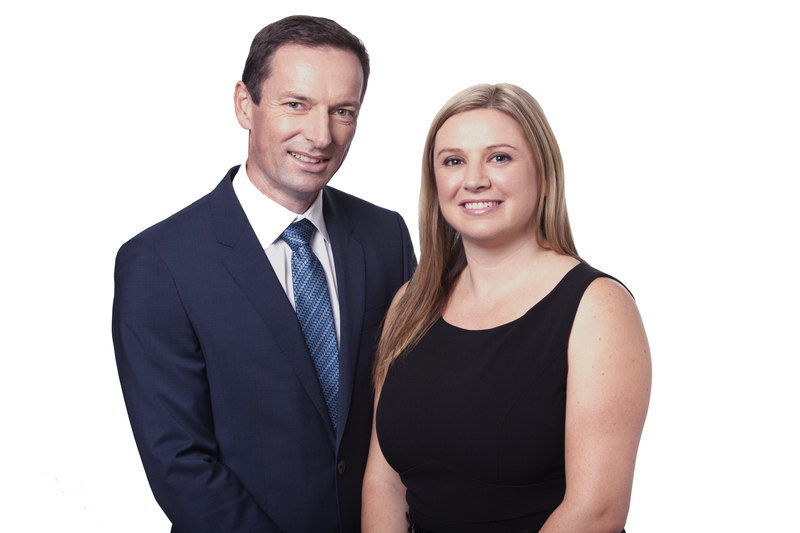 Mortgage Choice Menai is a leading mortgage broking & financial advice franchise owned and operated by Phil & Suzy Wheatley. With over 25 years in banking and finance Phil brings significant experience of the financial services sector. It’s this experience that allows Mortgage Choice in Menai to deliver exceptional customer service on a consistent basis. Visit and like us on Facebook here! We are your personal loan shopper to help you compare over 20 lenders and over 400 products to find the right loan for you. We help our customers through the entire loan process from initial interview to final settlement and beyond. We understand the pitfalls and anticipate issues before they arise. We remove much of the stress by doing lots of the work for you. A "simple" loan transaction will on average generate 30 individual phone calls, 20 individual emails and 6 individual faxes.... Let us help you with this. Why choose Mortgage Choice in Menai? There is no cost to you for our home loan service. Our business is based on the values of professionalism, trust, care and integrity. Over 70% of our business comes from happy customers through repeat business and referrals. While our office is located in Menai, We can also assist people in all suburbs as well as many who are interstate and overseas. Servicing suburbs Alfords Point, Bangor, Barden Ridge, Bonnet Bay, Como, Engadine, Grays Point, Heathcote, Illawong, Jannali, Kangaroo Point, Kareela, Kirrawee, Loftus, Lucas Heights, Menai, Oyster Bay, Sutherland, Sylvania, Sylvania Waters, Waterfall, Woronora, Woronora Heights, Yarrawarrah. "We recently dealt with Phil Wheatley for an investment house and land package, and found him to be professional, prompt and thorough from beginning to end. He explained the processes, offered options and was always available to assist us. He gave us choices and lead us to select the right option for our needs. He kept things simple and in basic terms so we understood exactly what we need to. I would not hesitate in recommending Phil and Mortgage Choice. Thanks for everything... you made what we thought was going to be very complicated, very simple and easy." "Phil was amazing with getting our loan, he made it all go smoothly. "Really fast and effective communication. Expectations were managed very well. Very professional demeanor." "Phil was very professional and friendly. This was our first experience in buying a property and my partner and I felt very comfortable calling to discuss issues that we were unaware of how to handle." "I was extremely pleased with the service I received from Phil Wheatley of Mortgage Choice. He listened to my needs and advised me on my options in a clear and concise way. He always returned my calls and emails and I don't believe without his persistence my loan would have been approved." "The service provided by Phil was second to none. He was extremely professional and took the time to understand our needs and helped us every step of the way. He explained all options and provided professional advice. The whole process was quick and efficient. As a result, we have recommended Phil to our family and friends." "After years of issues with our current bank I searched for months for a decent no frills straight up bank. I came up with nothing. Until I went to Mortgage Choice I had my reservations about one existing. After what would have been months more of wasting hard earned money Mortgage Choice found us the best bank to suit our needs. They cut through the red tape and now saves us thousands a month. If your thinking of refinancing or need to tidy up loose ends see Phil Wheatley you won't be disappointed." "Your service is honest, straight forward and reliable. I am referring our son and partner to you to look at getting a loan for a property very soon." "Excellent service and always available to answer my queries. Nothing was too much trouble for you. Really appreciate your patience and the help I received to understand the process of applying for my first home loan. Your knowledge and assistance was invaluable to me. Thank you Phil." "We contacted Phil to help us to refinance our current investment home loan and to finance a new investment property as well. From our first conversation through to finalising our loans, Phil was extremely helpful and able to answer every question we had throughout the process. After going through this process directly with a lender before, we are so happy that we chose to use a mortgage choice broker this time around."